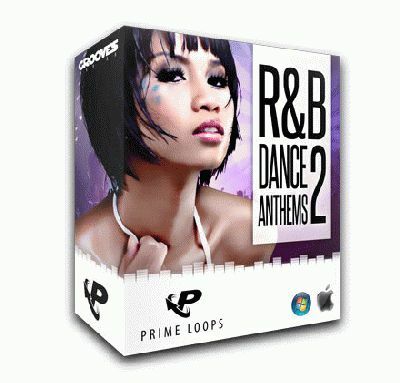 Following the success of ‘R&B Dance Anthems’, Prime Loops introduces ‘R&B Dance Anthems 2’ – providing even more sounds influenced by the likes of international superstars like Rihanna, Taio Cruz, Usher, Kelly Rowland, Ke$ha and Lady Gaga. This sample pack reflects the recent collision of popular genres in the charts which has seen elements of Dance, R&B, Trance and other high profile genres collide. re-arrangment, laying down vocals or mashing up with any of our Prime Loops sample packs. ‘R&B Dance Anthems 2’ also includes fully arranged, full-length instrumentals, allowing you to get creative on the spot. ‘R&B Dance Anthems 2’ was created with the creative DJ, MC, singer or producer in mind, and focuses on the commercial sound currently heard in the charts today. If you are looking for inspiration and superior quality ‘R&B Dance Anthems 2’ should give you what you need.